• The Cisco 1921 offers increased levels of services integration with data, security, wireless, and mobility services, enabling greater efficiencies and cost savings. • A single Cisco IOS Software Universal image is installed on each ISR G2. The Universal image contains all of the Cisco IOS Software technology sets that can be activated with a software license, allowing your business to quickly deploy advanced features without downloading a new Cisco IOS Software image. Additionally, larger default memory is included to support the new capabilities. 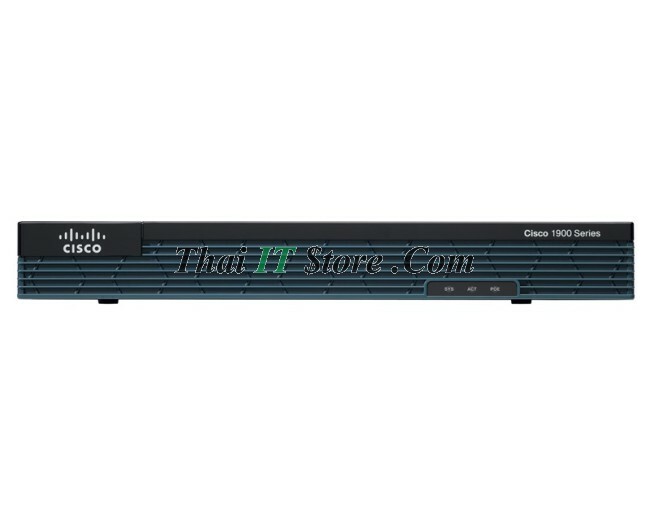 • The Cisco 1900 Series enables deployment in high-speed WAN environments with concurrent services enabled up to 15 Mbps. 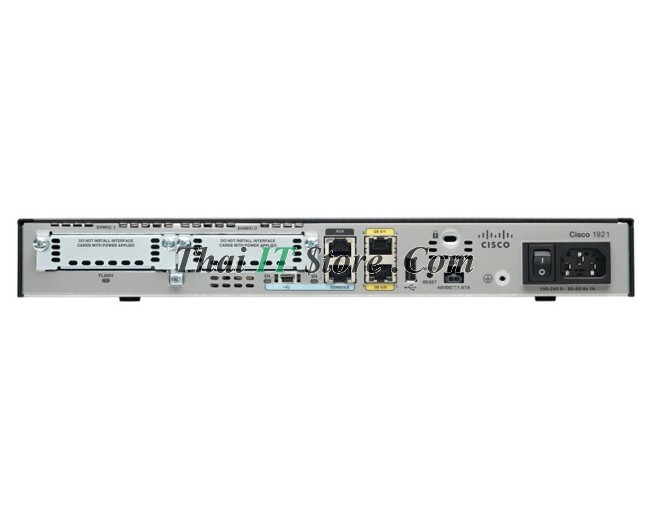 • Designed to address customer business requirements, the Cisco 1921 with the modular architecture offers a performance range of modular interfaces and services as your network needs grow. • The Cisco 1900 Series offers intelligent power management and allows you to control power to the modules based on the time of day. Cisco EnergyWise technology will be supported in the future. • Services integration and modularity on a single platform performing multiple functions optimizes raw-materials consumption and energy usage. • Platform flexibility and ongoing development of both hardware and software capabilities lead to a longer product lifecycle, lowering all aspects of the TCO, including materials and energy use. • High-efficiency power supplies are provided with each platform. 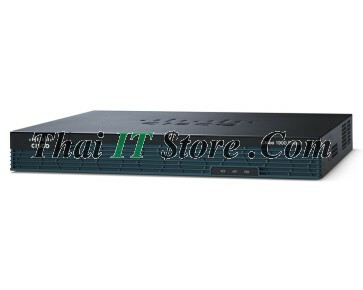 • DC Power option available (CISCO1921DC/K9). • Reuse of a broad array of existing modules supported on the original ISRs provides a lower TCO. • A rich set of Cisco IOS Software features is carried forward from the original ISRs and delivered in the Universal image. • This router gives you the flexibility to grow as your business needs evolve. IPv4, IPv6, static routes, Open Shortest Path First (OSPF), Enhanced IGRP (EIGRP), Border Gateway Protocol (BGP), BGP Router Reflector, Intermediate System-to-Intermediate System (IS-IS), Multicast Internet Group Management Protocol (IGMPv3) Protocol Independent Multicast sparse mode (PIM SM), PIM Source-Specific Multicast (SSM), Distance Vector Multicast Routing Protocol (DVMRP), IPsec, generic routing encapsulation (GRE), Bidirectional Forwarding Detection (BVD), IPv4-to-IPv6 Multicast, MPLS, Layer 2 Tunneling Protocol Version 3 (L2TPv3), 802.1ag, 802.3ah, and Layer 2 and Layer 3 VPN. 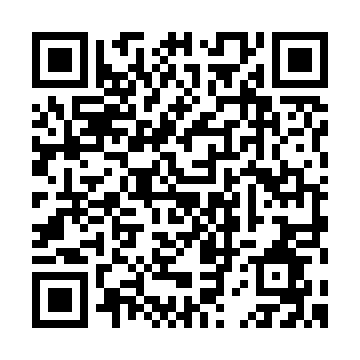 QoS, Class-Based Weighted Fair Queuing (CBWFQ), Weighted Random Early Detection (WRED), Hierarchical QoS, Policy-Based Routing (PBR), Performance Routing (PfR), and Network-Based Application Recognition (NBAR).